This year’s annual Memorial Day campout was a little different than usual. Instead of our rustic campsite along the reservoir, we changed things up because of water quality and flooding issues. So this year, we found ourselves in the middle of the nation’s oldest Boy Scout Council with their camp, all to ourselves. 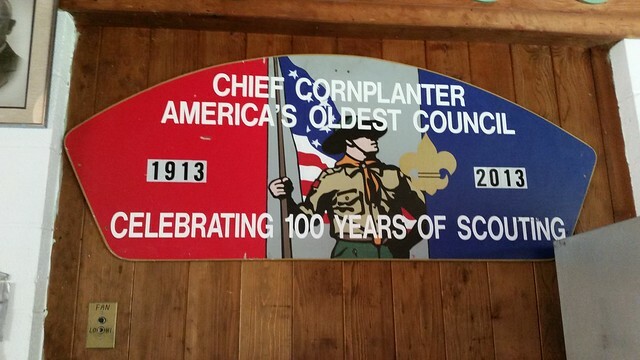 Camp Olmsted belongs to the Chief Cornplanter Council. We managed to get the entire camp to ourselves where we had a blast. The boys lined up all sorts of sporting competitions, with a neat change to our annual Kinzua Challenge. This year, they added a foot race and shooting competition to the event. Congratulations to Tim and Nick for winning the challenge! We also had our first intra-troop “Top Shot” contest. After several tie-breaking rounds, hats go off to Tyson and Tommy for tying as this year’s winners. For those interested, these boys were consistently picking off a paintball at 50 feet. Great job, boys! Of course, we took advantage of the lake, even though it was a bit of a hike to get back up the hill when we returned to camp. But one of the biggest highlights had to be the 3 fox kits we saw on the hike up to the upper campfire circle. They were the coolest things to see! At the top, we enjoyed the sunset, then we night-hiked back down to camp. What an awesome day. Special thanks go to Blake and Duncan who scoped things out and had the campfires burning upon our arrival at camp. We’d also like to thank Google Maps for sending two independent groups of us to visit the neighbors instead of the camp. It’s a good thing we can all read maps!